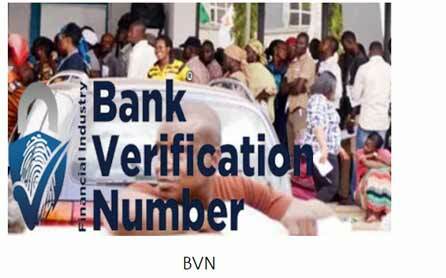 ABUJA — The Abuja Division of the Federal High Court, yesterday, varied the orders it made on October 17, which directed 19 commercial banks in the country to freeze all accounts without Bank Verification Numbers, BVN. Justice Nnamdi Dimgba modified part of the order that granted the Federal Government interim ownership of funds in all the non BVN-linked bank accounts. The variation was sequel to an agreement the Federal Government reached with the 19 commercial banks, yesterday. In his ruling, Justice Dimgba said he was minded to “revise” the earlier orders, in view of the fact that it had been posing some “practical problems.” The court directed banks to immediately unfreeze accounts that had since been linked to a BVN after the orders were made on October 17, following an ex-parte motion filed by Attorney-General of the Federation and Minister of Justice, Mr. Abubakar Malami, SAN. The court further revoked an aspect of the order, which had directed an interim forfeiture of the proceeds in all the accounts without BVN pending the determination of the substantive suit. The orders were modified on a day all the 19 commecial banks challenged jurisdiction of the high court to entertain the suit marked FHC/ABJ/CS/911/16, which has Federal Government and the AGF as the applicants. Whereas Federal Government was represented in the proceeding by Mr. Joseph Tobi, the 19 commercial banks were represented by Mr. Adeniyi Adegbonmire, SAN. However, the Central Bank of Nigeria, CBN, which was cited as the 20th respondent in the matter was not represented by any lawyer. Justice Dimgba noted that before yesterday, unfreezing the accounts without BVN, even with the account owners visiting the banks to undertake the BVN registration, would have amounted to a violation of one of the orders of the court since the ruling did not make BVN registration a pre-condition for unfreezing such accounts. He said with the way the order was couched, the freezing order placed on such accounts woud have subsisted until the case was finally determined and not by the account owner undertaking the BVN registration. Meanwhile, counsel for the commercial banks, Mr. Adegbonmire, notified the court that his clients have filed an application to query jurisdiction of the court. Adegbonmire said the application had been served on Federal Government, a development that was confirmed by the government’s lawyer. Similarly, some persons that identified themselves as interested Nigerians, through their lawyer, Mr. Afam Osigwe, applied to be joined as parties in the matter. Following request by counsel to Federal Government and the 19 banks to be allowed to go through documents filed by the interested parties, Justice Dimgba adjourned the case till December 11 for hearing. Original defendants in the suit are Access Bank Plc, Citi Bank Nigeria, Diamond Bank Plc, Ecobank Nigeria, Fidelity Bank Plc, FirstBank Plc, First City Monument Bank Plc, Guaranty Trust Bank Plc and Heritage Bank Plc. 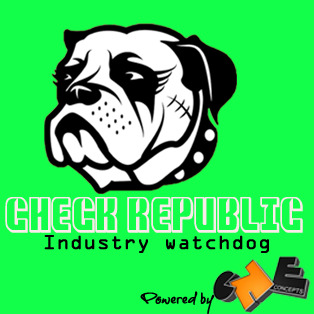 Others are Keystone Bank, Skye Bank Plc, Stanbic IBTC Bank Plc, Union Bank Plc, United Bank for Africa Plc, Unity Bank Plc, Wema Bank Plc, Zenith Bank Plc and CBN.